On a scorching July afternoon in 1878, at the dawn of the Gilded Age, the moon’s shadow descended on the American West, darkening skies from Montana Territory to Texas. This rare celestial event—a total solar eclipse—offered a priceless opportunity to solve some of the solar system’s most enduring riddles, and it prompted a clutch of enterprising scientists to brave the wild frontier in a grueling race to the Rocky Mountains. 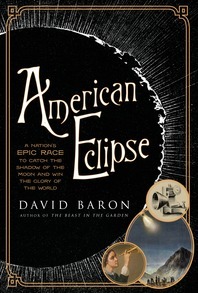 Acclaimed science journalist David Baron, long fascinated by eclipses, re-creates this epic tale of ambition, failure, and glory in a narrative that reveals as much about the historical trajectory of a striving young nation as it does about those scant three minutes when the blue sky blackened and stars appeared in mid-afternoon. 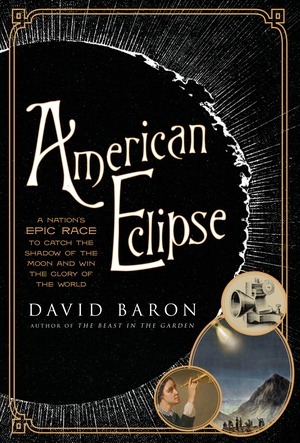 In vibrant historical detail, American Eclipse animates the fierce jockeying that came to dominate late nineteenth-century American astronomy, bringing to life the challenges faced by three of the most determined eclipse chasers who participated in this adventure. James Craig Watson, virtually forgotten in the twenty-first century, was in his day a renowned asteroid hunter who fantasized about becoming a Gilded Age Galileo. Hauling a telescope, a star chart, and his long-suffering wife out west, Watson believed that he would discover Vulcan, a hypothesized "intra-Mercurial" planet hidden in the sun’s brilliance. No less determined was Vassar astronomer Maria Mitchell, who—in an era when women’s education came under fierce attack—fought to demonstrate that science and higher learning were not anathema to femininity. Despite obstacles erected by the male-dominated astronomical community, an indifferent government, and careless porters, Mitchell courageously charged west with a contingent of female students intent on observing the transcendent phenomenon for themselves. Finally, Thomas Edison—a young inventor and irrepressible showman—braved the wilderness to prove himself to the scientific community. Armed with his newest invention, the tasimeter, and pursued at each stop by throngs of reporters, Edison sought to leverage the eclipse to cement his place in history. What he learned on the frontier, in fact, would help him illuminate the world. With memorable accounts of train robberies and Indian skirmishes, David Baron’s page-turning drama refracts nineteenth-century science through the mythologized age of the Wild West, revealing a history no less fierce and fantastical.